January 6 is the sixth day of the year in the Gregorian calendar.There are 359 days remaining until the end of the year(360 in leap years). 1205 – Philip of Swabia becomes King of the Romans. 1322 – Stephen Uroš III is crowned King of Serbia having defeated his half-brother Stefan Konstantin in battle. 1355 – Charles I of Bohemia is crowned with the Iron Crown of Lombardy as King of Italy in Milan. 1449 – Constantine XI is crowned Byzantine Emperor at Mystras. 1492 – The Catholic Monarchs Ferdinand and Isabella enter Granada, completing the Reconquista. 1540 – King Henry VIII of England marries Anne of Cleves. 1579 – The Union of Arras unites the southern Netherlands under the Duke of Parma (Ottavio Farnese), governor in the name of King Philip II of Spain. 1661 – English Restoration: The Fifth Monarchists unsuccessfully attempt to seize control of London, England. 1690 – Joseph, son of Emperor Leopold I, becomes King of the Romans. 1721 – The Committee of Inquiry on the South Sea Bubble publishes its findings. 1781 – In the Battle of Jersey, the British defeat the last attempt by France to invade Jersey in the Channel Islands. 1809 – Combined British, Portuguese and colonial Brazilian forces begin the Invasion of Cayenne during the Napoleonic Wars. 1838 – Alfred Vail demonstrates a telegraph system using dots and dashes (this is the forerunner of Morse code). 1839 – The Night of the Big Wind, the most damaging storm in 300 years, sweeps across Ireland, damaging or destroying more than 20% of the houses in Dublin. 1870 – The inauguration of the Musikverein in Vienna, Austria. 1893 – The Washington National Cathedral is chartered by Congress. The charter is signed by President Benjamin Harrison. 1900 – Second Boer War: Having already besieged the fortress at Ladysmith, Boer forces attack it, but are driven back by British defenders. 1907 – Maria Montessori opens her first school and daycare center for working class children in Rome, Italy. 1912 – New Mexico is admitted to the Union as the 47th U.S. state. 1912 – German geophysicist Alfred Wegener first presents his theory of continental drift. 1929 – King Alexander of the Serbs, Croats and Slovenes suspends his country's constitution (the January 6th Dictatorship). 1929 – Mother Teresa arrives in Calcutta, India, to begin her work among India's poorest and sick people. 1930 – The first diesel-powered automobile trip is completed, from Indianapolis, Indiana, to New York, New York. 1931 – Thomas Edison signs his last patent application. 1941 – United States President Franklin D. Roosevelt delivers his Four Freedoms speech in the State of the Union address. 1946 – The first general election ever in Vietnam is held. 1947 – Pan American Airlines becomes the first commercial airline to offer a round-the-world ticket. 1950 – The United Kingdom recognizes the People's Republic of China. The Republic of China severs diplomatic relations with the UK in response. 1951 – Korean War: An estimated 200–1,300 South Korean communist sympathizers are slaughtered in what becomes the Ganghwa massacre. 1960 – National Airlines Flight 2511 is destroyed in mid-air by a bomb, while en route from New York City to Miami. 1960 – The Associations Law comes into force in Iraq, allowing registration of political parties. 1967 – Vietnam War: United States Marine Corps and ARVN troops launch "Operation Deckhouse Five" in the Mekong River delta. 1974 – In response to the 1973 oil crisis, daylight saving time commences nearly four months early in the United States. 1978 – The Crown of St. Stephen (also known as the Holy Crown of Hungary) is returned to Hungary from the United States, where it was held after World War II. 1989 – Satwant Singh and Kehar Singh are sentenced to death for conspiracy in the assassination of Prime Minister Indira Gandhi; the two men are executed the same day. 1992 – President of Georgia Zviad Gamsakhurdia flees the country as a result of the military coup. 1993 – Indian Border Security Force units kill 55 Kashmiri civilians in Sopore, Jammu and Kashmir, in revenge after militants ambushed a BSF patrol. 1995 – A chemical fire in an apartment complex in Manila, Philippines, leads to the discovery of plans for Project Bojinka, a mass-terrorist attack. 2001 – The US Congress certifies George W. Bush winner of 2000 presidential election. 2005 – American Civil Rights Movement: Edgar Ray Killen is arrested as a suspect in the 1964 murders of Chaney, Goodman, and Schwerner. 2005 – A train collision in Graniteville, South Carolina, United States, releases about 60 tons of chlorine gas. 2012 – Twenty-six people are killed and 63 wounded when a suicide bomber blows himself up at a police station in Damascus. 2017 – Five people are killed and six others injured in a mass shooting at Fort Lauderdale–Hollywood International Airport in Broward County, Florida. 2017 – The US Congress certifies Donald Trump winner of 2016 presidential election. 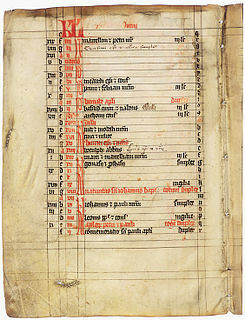 1066 (MLXVI) was a common year starting on Sunday of the Julian calendar. Harold Godwinson, often called Harold II, was the last crowned Anglo-Saxon king of England. Harold reigned from 6 January 1066 until his death at the Battle of Hastings, fighting the Norman invaders led by William the Conqueror during the Norman conquest of England. His death marked the end of Anglo-Saxon rule over England. Year 1256 (MCCLVI) was a leap year starting on Saturday of the Julian calendar. Gertrude the Great was a German Benedictine nun, mystic, and theologian. She is recognized as a saint by the Catholic Church, and is inscribed in the General Roman Calendar, for optional celebration throughout the Roman Rite as a memorial, on November 16. Year 1367 (MCCCLXVII) was a common year starting on Friday of the Julian calendar. Year 429 (CDXXIX) was a common year starting on Tuesday of the Julian calendar. At the time, it was known as the Year of the Consulship of Florentius and Dionysius. The denomination 429 for this year has been used since the early medieval period, when the Anno Domini calendar era became the prevalent method in Europe for naming years. Honoratus was the founder of Lérins Abbey who later became an early Archbishop of Arles. He is honored as a saint in the Catholic and Eastern Orthodox Churches. Year 664 (DCLXIV) was a leap year starting on Monday of the Julian calendar. The denomination 664 for this year has been used since the early medieval period, when the Anno Domini calendar era became the prevalent method in Europe for naming years. André Bessette, C.S.C., more commonly known as Brother André, and since his canonization as Saint André of Montreal, was a lay brother of the Congregation of Holy Cross and a significant figure of the Roman Catholic Church among French-Canadians, credited with thousands of reported miraculous oil healings associated with his pious devotion to Saint Joseph. ↑ Edward Augustus Freeman (1873). The History of the Norman Conquest of England: Its Causes and Its Results. Clarendon Press for Macmillan and Company, New York. p. 12. ↑ "40 people killed in gold mine collapse". USSA News. Retrieved 2019-01-07. ↑ Rosemary Guiley (2001). The Encyclopedia of Saints. Infobase Publishing. pp. 132–. ISBN 978-1-4381-3026-2. ↑ Mnemonika: Or, Chronological Tablets. E. J. Coale. 1812. pp. 249–. ↑ American Historical Company, New York; Mabel Johnson (1962). Johnson, Stedman, and allied families: a genealogical study with biographical notes. ↑ Gail Patterson (2002). Joan of Arc: Historical Overview and Bibliography. Nova Publishers. pp. 177–. ISBN 978-1-59033-503-1. ↑ Albert Ernest Wier (1938). The Macmillan Encyclopedia of Music and Musicians: In One Volume. Macmillan. ↑ Peter G. Bietenholz; Thomas Brian Deutscher (2003). Contemporaries of Erasmus: A Biographical Register of the Renaissance and Reformation. University of Toronto Press. pp. 434–. ISBN 978-0-8020-8577-1. ↑ Elizabeth Philpot (2009). Old testament apocryphal images in European art. Acta Universitatis Gothoburgensis. ISBN 978-91-7346-666-0. ↑ Raphaël Louis Oechslin (1962). Louis of Granada. Herder. ↑ G.E. Cokayne; with Vicary Gibbs, H.A. Doubleday, Geoffrey H. White, Duncan Warrand and Lord Howard de Walden, editors, The Complete Peerage of England, Scotland, Ireland, Great Britain and the United Kingdom, Extant, Extinct or Dormant, new ed., 13 volumes in 14 (1910-1959; reprint in 6 volumes, Gloucester, U.K.: Alan Sutton Publishing, 2000), volume VI, page 264. ↑ "HM Queen Maria of Yugoslavia". Royal Family of Serbia. Retrieved 2017-10-24. ↑ Ben Evans (4 October 2013). Partnership in Space: The Mid to Late Nineties. Springer Science & Business Media. pp. 60–. ISBN 978-1-4614-3278-4. ↑ E. John B. Allen (29 December 2011). Historical Dictionary of Skiing. Scarecrow Press. pp. 140–. ISBN 978-0-8108-6802-1. Wikimedia Commons has media related to January 6 .